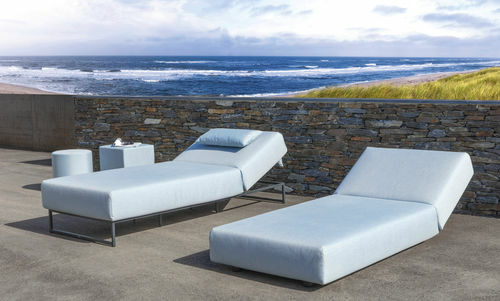 The lounge system Flora with its adjustable backrest and side parts turns the outdoor area into a cosy haven. 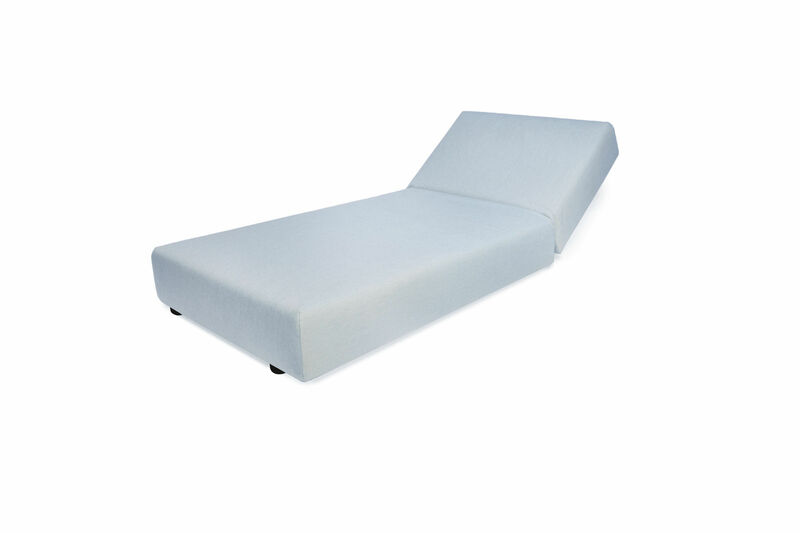 The functional outdoor sofa invites you to create your own custom-built relaxing landscape. 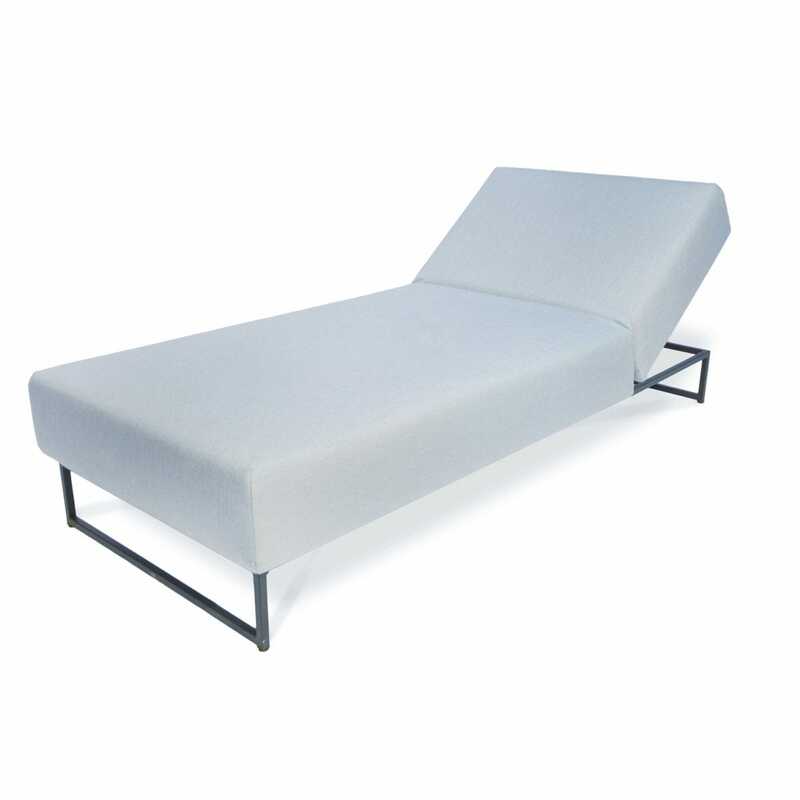 The Flora sunbed is especially comfortable in both versions either with the elegant elevated frame or with puristic foot gliders. A suitable addition are the matching soft upholstered stools.